There’s nothing like being there in person and watching history go down in front of your eyes. If you really want to watch Formula One, your best bet would be to travel to Monaco. When the streets are closed off and the racing starts to go down, there’s nothing else much like it on the F1 calendar. Also, if you can find yourself on the guest list to some of those deep pocket, big company sponsored yacht parties, go for it. Or maybe just sneak in (or don’t). 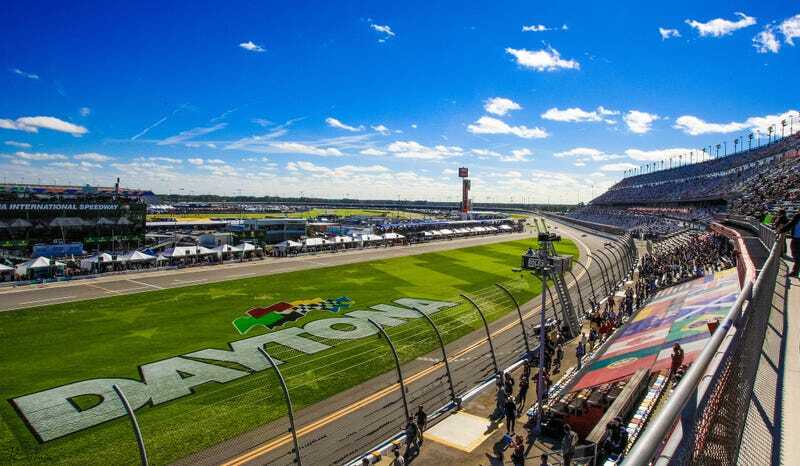 The Daytona 24 is one of the first major endurances races of the year and arguably America’s closest racing event to the 24 Hours of Le Mans. Because of the similar levels of high-strung racing, it attracts endurance enthusiasts not only from America but from around the world. It’s still on my bucket list to spectate, and when I do, I’m sure I’ll have no regrets. Coming up on its 100th anniversary, Pikes Peak Hill Climb is one of the most dangerous motor competitions in the world. The lack of guardrails and sharp drops in some sections combined with limited practice sessions makes for some very, well, exciting, driving. Talledega. No other race experience I’ve been to even comes close. With the way NASCAR has the restrictor plates set up, you have 43 cars traveling in a single 2-3 wide pack at over 200 mph. It’s like a giant fire breathing, metal dragon circling the track at an ungodly speed. The best place to sit is down low. Sure you can’t see the back stretch, but a few seconds after they come by on the front stretch you get blasted with a gust of hurricane force winds (ok, maybe only like 30-40mph, but still!). You get every sense overloaded! Also, the race isn’t the only entertainment you’ll get. The people that show up to that race are hilarious and a show in and of themselves. It’s like watching Jerry Springer live! The first one I ever went to featured a redneck couple fighting over nothing, threatening for divorce, child custody, etc throughout the race, only for them both to get drunk and everything be settled and made up by the end of it. I don’t know anywhere else I’ve been with a greater variety of entertainment! Just sit back and enjoy the show. When it comes to big league racing in America, IndyCar is probably the most underrated, unfortunately. Except for when it comes to the 500. Tight, “real” racing with speeds approaching 230 MPH or more, there’s no complaining here. If you’re going to watch IndyCar, do it at its biggest event of the year. A bunch of ratrods, hot rods, classic cars, high-speed run cars and the sorts being sent down the line in an attempt to get the highest speed record possible? Awesome. Easy to spectate, very lax organizers and a true community. When rain doesn’t ruin this event like it did this year, it’s definitely worth being there. As you probably saw from our coverage of this year’s Festival of Speed, there is almost nothing like this event anywhere in the world. Automakers and collectors bring their race cars, prototypes, vintage race cars, motorbikes and whatever with wheels to the event all in celebration of thing we all love, speed. As each bike screams past you in what seems to be only a millisecond at Isle of Man, you wonder how people are capable of doing this, why people risk their lives for this and how these machines are capable of such driving. The stories told from this event each year are often cringeworthy, but each year thousands of people flock to this small island to return with some more. The 24 Hours of Nürburgring is like the 24 Hours of Le Mans, but with less British people, less baguettes and less R18s. But even without those very exciting factors, it still makes for an extreme occasion of motorsport culture and racing. The 24 Hours of Le Mans is nothing but a spectacle. World wide it’s known for the racing that goes on, the dangerous crashes that have occurred, as well as the amazing race cars that are driven. But to the people that attend, to the spectators, it’s known as an automotive culture must-see, and not only for those reasons above. When spectating Le Mans, you’re surrounded by thousands of enthusiasts and thousands of racing lovers, who almost all came their for the same reason you did. To me, something about that is incredibly special, and it’s why I spectate.